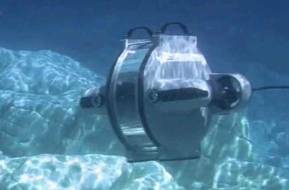 A clean energy startup based in Southern California is developing a power supply that generates electricity from temperature differences in the ocean to power a wide range of underwater systems. Seatrec, Inc. has completed its seed round of financing to further develop the TREC Thermal RECharging Battery, a patented technology, researched, prototyped and field tested by NASA’s Jet Propulsion Laboratory and licensed to Seatrec by Caltech, that employs a nontoxic material with the capacity to expand and contract with changes in temperature. These changes in volume are used to generate electrical power. During an 18-month sea trial in deep waters off the coast of Hawaii, a TREC Battery-powered underwater unmanned vehicle (UUV) completed more than 1,000 dives, each to a depth of 500 meters while recording depth, ocean temperature and salinity. At the end of each dive, its oceanographic data and GPS location were uploaded via satellite link to a ground station. When the autonomous test vehicle had completed its mission, it signaled its location with a GPS beacon for a recovery by ship. The seed round funding for continued research, development and commercialization of the TREC Battery ended in December 2016, including funds from angel investors, and grants from the U.S. Office of Naval Research, Breakout Labs and Schmidt Marine Technology Partners. Seatrec said it is continuing to pursue revenue growth with a focus on research and development for its next generation of commercial products, including a high-endurance underwater free-drifting UUV scheduled for sea trials in 2017, an underwater glider in 2018/19 and an underwater charging station for long-range propeller driven UUVs in 2020/21.